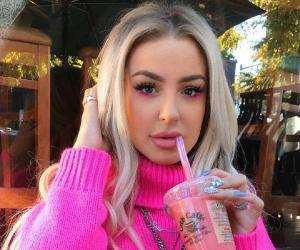 All about the American actress and YouTube star, Aspyn Ovard; her age, birthday, husband, net worth, family, and some fun facts. Aspyn Ovard is an American YouTube star who became famous as a fashion and beauty expert with the videos she uploaded on her YouTube channel, Haute Brilliance. She also uploads videos on another YouTube channel called Aspyn+Parker in which she collaborates with her husband Parker in creating the videos. She creates videos on fashion and beauty including ‘Do-It-Yourself’ videos on how to look more beautiful with proper make-up, what dress to wear with what kind of make-up and things like that. She even creates videos on outfits to wear on different days and uploads these videos to her channel. She is also an actress who appeared in various videos such as ‘Awesomeness TV’ in 2013, ‘Royal Crush’ in 2014 and ‘Accidentally Exercising’ in 2015. She has also become popular due to her videos on travel which she had created while visiting places like Los Angeles, Chicago and New York and showcased them in her videos. Aspyn Ovard has become very popular because of her videos on fashion and beauty. A large number of youngsters regularly follow her on her YouTube channel to keep up with her latest suggestions on dresses and clothing. 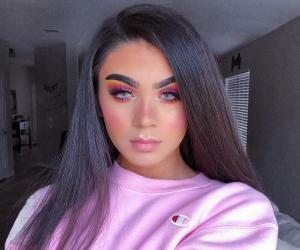 She has acquired more than 2.9 million followers on her YouTube channel. In March 2014, she collaborated with other beauty gurus like Lauren Elizabeth and others for creating a video titled ‘Beauty Gurus Tell Secrets In Bed’. She has launched new and exciting videos with four leading lifestyle and beauty gurus recently. With their help she has brought out a few beauty aids that focus on her philosophy of looking beautiful without much fuss. She has more than 1.9 million followers on Instagram, more than 625,000 followers on Twitter and more than 210,000 followers on Pinterest. Aspyn is a very beautiful woman with physical measurements just perfect for the world of fashion. 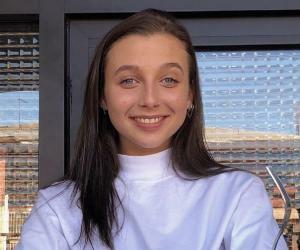 Recently she started her online store where a viewer can sign up for the latest news on new fashions released and items that are available for sale. Her net worth at present is approximately $1.5 million and is on the rise with every passing day. 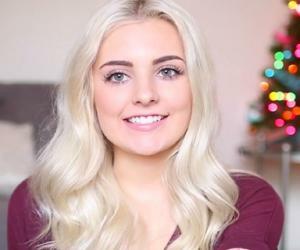 Aspyn Ovard has become very popular for her videos on fashion and beauty which every woman looks forward to seeing to get the latest tips on these subjects. She has endeared herself to her fans and viewers who like to follow the tips she gives in her video tutorials on how to make them look beautiful. Her Do-It-Yourself beauty classes help young people to dress themselves up in the latest fashions and trends. She has become a very special person to her viewers as they feel that they are able to look their best when they follow the tips given by Aspyn. Aspyn Ovard has kept herself away from from all kinds of controversies and scandal till now despite her fame a very short time. While making videos for her YouTube channel she met Peter Ferris a fellow YouTuber and married him in October, 2015. The marriage has been very good for both and they seem to be getting along very well with each other. They started collaborating with each other in creating more videos with common interests, which they upload to their YouTube channel called Aspyn+Parker. Her all out endeavor is to create as many videos as possible on beauty and fashion to help her fans look as beautiful as possible in every moment of their life. Aspyn Ovard was born in Utah in the United States on April 15, 1996. She performed as a cheerleader before starting her own YouTube channel. She loves to travel and has uploaded the various documentaries which she made during her visits to Chicago, New York, Los Angeles and other places to her YouTube channel which has caught the attention of many people young and old. Her mother Sasha who was a hairdresser brought up Aspyn with her younger sister Avery Elle and her two younger brothers Tav and Trey in a modest middle-class neighborhood of Utah in the United States. She received her initial training on beauty from her mother. Aspyn married a fellow YouTuber, Parker Ferris on October 23, 2015 after being engaged to him for two months. Only her close friends and family were invited to the ceremony that was held outdoors in Utah. The couple has been making videos together ever since.